This Writer’s Journey Wednesday, we’re going to look at research. Regardless whether you like it or not, research is vital in writing both fiction and non-fiction. If you don’t have your facts straight, don’t be surprised if a reader sets YOU straight. Interviews, exploring locations, and reading books are still used as resources, but the Internet has made research not only much easier, but an every day occurrence. We research the Web for information on everything from how to bake a cake to learning about parts of an engine. We’re including a few Web sites today to aid in your own research. If you have some great ones that you’d like to share, please post them for our readers in the comments. Type in a word and the version of the Bible you want used, and a list of Bible verses will pop up on your screen. Great for finding a verse that fits your topic, the exact wording, or where it's located. Visuwords is a free online graphical dictionary/thesarus. You can look up words to find their meanings and associations with other words and concepts. Diagrams are generated and show how words associate. The Online Etymology Dictionary gives explanations of what words meant and how they sounded 600 or 2,000 years ago. The origin of the word and when it was first used is also given. The Urban Dictionary gives definitions and examples of today’s language/slang. Ehow is a site that provides instructive videos for various subjects. You can learn how to tie various types of knots, train horses, get rid of mold and mildew, or become a secret service agent, etc. The videos also come with transcripts. Great site for Georgian, Regency, and Victorian fashions. If you need a description for clothing--including children's wear, uniforms, dress and work for both men and women--from 1820 through 1920. All kinds of standard phone error messages, announcements, etc. so you can be exact about what your character would hear on the landline phone, payphone, cell phone (including specific carrier’s messages), ring tones and distinctive warning tones of various carriers, etc. The site has both text and audio. We hope this has been helpful! Again, if you have a favorite site, please share it with our readers by posting it in a comment. About 545 writers converged on Denver, CO in mid-September at the American Christian Fiction Writers’ conference. We had a great time attending workshops, fellowshiping, meeting other writers for the first time and reconnecting with old friends. Conference planners offered an early bird workshop for folks coming in a day before official festivities kicked in, which I attended. Donald Maass, well-known for his “Writing the Break Novel” book and workbook, taught for seven hours on digging deep into characterization to better your plot (my own summation of his teaching). While he asked his questions, I had great ideas coming to me, some so stupendous, I gasped as I recognized these ideas for the gems I knew them to be. There were several workshops offered throughout conference on varied writing levels and a myriad of topics: plotting, characterization, screenwriting, hero’s journey, marketing, etc. Any topic you may want to work on as a writer was likely covered by at least one presenter. I love attending these classes—pen in hand, notebook filling up. I feel like a student. Whether you’ve written 1 book or 100, here’s a suggestion – when it comes to writing, it’s okay to remain a student. In previous conferences, I remember witnessing some well-respected, well-established authors taking the same classes as those of us who are not in their same position. My respect for them grew. One of the best ways to serve your reader is to remain teachable when it comes to writing craft. Never stop learning. This will ensure your novels stay fresh as you write them one after another, and that your readers won’t outgrow your writing. Also, you’ll feel more confident as you move forward. And confidence with humility is good as a Christian writer. Keep learning craft to best bless those who will hold your books in their hands. It’s all about the reader! Please welcome Katie Ganshert as the concludes her series on GMC this Manuscript Monday. For this last post, we will explore how to use GMC to create an elevator pitch. But first, let’s do a quick recap. Goal. Every main character needs one. What does your character want? And what's at stake if he doesn't reach his goal? The higher the stakes, the better. Motivation. Every goal needs one. Why is your character after what he’s after? Why does the goal matter? You can make your character want anything, as long as the motivation behind the goal is compelling and believable. Conflict. Every story needs one. What stands in the way of your character reaching his goals? Every scene you write needs to advance your character's GMC in some way. If one of your scenes doesn't address a G, or an M, or a C, then you must ask yourself, why is the scene in the book? What’s an elevator pitch and how do we use the GMC to write one? An elevator pitch is a short one or two sentence blurb describing the premise of your book. Elevator Pitch Outline: Character wants (goal) because (motivation), but (conflict). An unhappy teenager wants to get home because her aunt is sick, but first she must win the witch’s broom in order to get help from the wizard. Important Note: Unhappy teenager is used in place of Dorothy’s name. Debra Dixon refers to this as a dominant impression—an adjective/noun combination that captures the essence of your character. When constructing your elevator pitch, you want to use the dominant impression, not your character’s actual name. So that’s a very simplistic explanation of GMC. To learn more about these important concepts, you’ll have to buy Debra Dixon’s amazing book, Goal, Motivation, and Conflict. This Fortifying Friday, we’re pleased to have guest author Missy Tippens share about her path to publication. Enjoy! I’m so thrilled to visit with you today. I appreciate Dawn inviting me. I hope I can be an encouragement, especially for writers still trying to make that dreamed-of first sale. --I started writing when my middle child was nursing—holding him in one arm while typing with the other hand. When the book came out, he was 13. --And when I used to need writing time, I would bribe my three children by telling them if they would let Mommy write, then I would use my first advance money to buy them a swing set. Hmmm. By the time that book came out, my oldest was about to graduate from high school, and my youngest was 11. When I started on the road to publication, I never, ever, would have imagined waiting so long. Whether published or not, this business isn’t for the faint of heart. And it isn’t for those who give up easily. We need to trust God and put the journey in His hands. All well worth the wait! Missy Tippens is a pastor’s wife and mom of three. She has a story included in Blessings of Mossy Creek, published by BelleBooks. After ten years of pursuing her dream, she made her first sale of a full-length novel to Steeple Hill Love Inspired. She still pinches herself to see if it really happened! His Forever Love was a June 2009 release and will be followed by A Forever Christmas in November 2009. And that debut novel, Her Unlikely Family? It’s a 2009 ACFW Book of the Year finalist! You can find Missy at www.missytippens.com. And she blogs all over the place: www.lifewithmissy.blogspot.com, www.seekerville.blogspot.com, www.writingbyfaith.blogspot.com, and www.craftieladiesofromance.blogspot.com. She’s also on Facebook, MySpace and Shoutlife, so be sure to give her a holler! he did not say anything to them without using a parable. Even before I began my journey as a serious writer, I learned the importance of story. You see, my pastor for the past 15 years is a strong advocate for story. It’s a core belief in my church that it plays a vital role in sharing not only the gospel, but our lives. Stories are integrated into sermons, small group meetings, weddings, and other social events. During a funeral, not only eloquent praises are sung about the deceased, but sometimes the hard, ugly stuff of the person’s life is also shared. Not to be disrespectful or hurtful, but to be honest. To acknowledge that we’re all human. That we can all be forgiven – and loved. With story comes vulnerability and the opportunity to extend grace. Story can touch and soften a hardened heart. Jesus showed us the importance of story. He used parables many times to teach those who would not have heard or understood any other way. As writers, we play an important role in serving our King and the kingdom. Whether we write devotions, articles, or non-fiction books – we’re called to tell a story. If we’ve been given an imagination and a desire to create novels full of adventures, mysteries, or romance – we’re called to tell a story. With God’s help, we're able to craft words in such a way that readers can have a better understanding of His love and forgiveness. You have work to do, my friends. 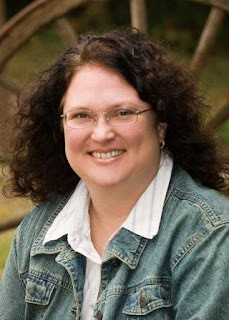 Christy Barritt is an author, freelance writer and speaker. This Writer’s Journey Wednesday, she’s here to share tips on what to do when feeling discouraged. Seasons of discouragement come and go for every author. But sometimes when it hits, it hits hard. Numerous authors have walked — or attempted to walk — away from writing as self doubt begins to plague them, burying itself in their self-confidence and assurances. * Rejections don’t mean you’re not good. Rejections happen to all of us. They're unavoidable and don't mean we're bad writers. They mean your story didn't fit a need or didn't meet an editor's preference. * Know that publishing isn’t instantaneous. Some writers spend ten plus years working on developing their craft before they're ever published. Be patient. Dreams rarely come true overnight and neither does being published. * Write and then write some more. The best way to learn how to write is by writing and reading. This helps us develop our skills. Someone once said writers have the longest apprenticeship of any profession. I don't know if that's true, but it does take time to become a good writer. * Become a sponge. Join writers groups, take workshops or college courses on improving your craft. Soak up everything you can and continue to learn. * Give yourself a break. Sometimes the best thing one can do is step back from writing and take a breather. This will give us a clear head and oftentimes a renewed inspiration. * Seek God’s approval. Pray that God will remove or strengthen your desire according to His will. If He has other, bigger and better plans for your life, then ask Him to show you those and give you the strength to pursue other mediums. * Don’t entertain negative thoughts. They will fester and grow. Deal with them and move on. * If you can walk away from writing, then you should. This is the most difficult piece of advice but it’s true. If writing is something you’d feel good about leaving and not returning to, then you should. Writers have a passion for their work — a call. If writing is truly your passion, you won't be able to walk away. * Get the opinion of someone valued and trusted. If you’re truly questioning if writing is what you should be doing and if you have any talent at it, then find someone who knows English and writing and get their opinion. Plead for honesty. Sometimes, we’re met to write for ourselves and other times, we’re met to write for others. Talking to someone trusted might help you find out which category you fall into. * Press on toward the prize. Remember, it’s God who sustains you. Let Him hold you up and carry you through. To find out more about Christy and her work, please visit her Web site. Christy Barritt’s newest book, Suspicious Minds (Kregel, 2008) is a lighthearted mystery about a sassy crime-scene cleaner who likes to stick her nose into police business. The book won the inspiration category for the 2009 Daphne du Maurier Award for Excellence in Suspense and Mystery. The first book in the series was Hazardous Duty, a finalist in the ACFW Book of the Year contest. She’s also the co-author of Changed: True Stories of Finding God in Christian Music (Standard, 2005). She’s married to Scott, a teacher and funny man extraordinaire. They have one son, 2 dogs, and a houseplant named Martha. When Christy’s not writing, she enjoys having coffee with friends, taking crazy road trips that usually involve no maps and flipping coins, and making her three-year-old giggle. “Write what you would want to read.” Good advice. You’ve probably heard it before. The idea is you'll inject passion naturally into the work because you care about your theme(s). If you write non-fiction, you’re addressing a topic you haven’t seen addressed with the slant you’re putting on it. If fiction, you’ve recognized a gap in what’s out there and desired to fill it. Great idea! God created each of us individually, with specific strengths, weaknesses, passions. If we try to fit into a box, (Which is arbitrary by definition—who knows what the box actually requests of us? We’re guessing from the get-go.) we are not being true to ourselves, to whom God created us to be. I think this is why writers oftentimes buck against formulas. Artists tend to want to stand out. We want to bring something different. We’re agents of creativity, carrying our own flavor to the ice cream social. Here’s the best part—someone out in Readerland needs to see what you need to write. That’s God’s plan. Perfect, isn’t it? To rework a phrase from Field of Dreams: if you write it, they will read it. And if you write it in a God-honoring way, you will find a readership. Being true to yourself is another way you 1) honor God and 2) respect your reader. So, follow the rules, sure—for the most part. But don’t tuck yourself into a box. Be true to yourself, and readers will find your work. Who knew that being true to yourself is actually all about the reader? Please welcome Katie Ganshert once again this Manuscript Monday for her continuing series on GMC. Conflict. Hate it in real life. Love it in fiction. According to Debra Dixon, the strength of a story rests in its conflict. Wow, that's a big statement. Why is conflict so important? Because conflict is the gasoline that keeps our stories running. Who wants to read a story about a character who accomplishes his goal without any problems? Talk about boring. So what, exactly, is conflict? It’s any obstacle that stands in the way of your character reaching his goal. Conflict moves the story forward. Think about every good book you’ve ever read. The characters are not stagnant, are they? Of course not. They grow, mature, evolve. How does this happen? By overcoming obstacles that get in the way of their goal. - Conflict equals tension and tension is what makes readers flip pages. -Two dogs, one bone. Two characters both want the same thing. Only one can win. Important to keep in mind: all the conflict in the world won't mean a thing if you don't establish an important goal and a compelling motivation. If your character doesn't really care all the much about accomplishing the goal, or the reason behind the goal isn’t important, it won't matter how many obstacles you throw in your character’s path, because if your character doesn't care about the outcome, your readers won’t either. This Fortifying Friday we welcome Christina Miller to Seriously Write. Christina has a heart for mentoring writers, and we’re happy she’s able to share encouraging words with us today. “I’m collecting rejections like a twisted hobby. 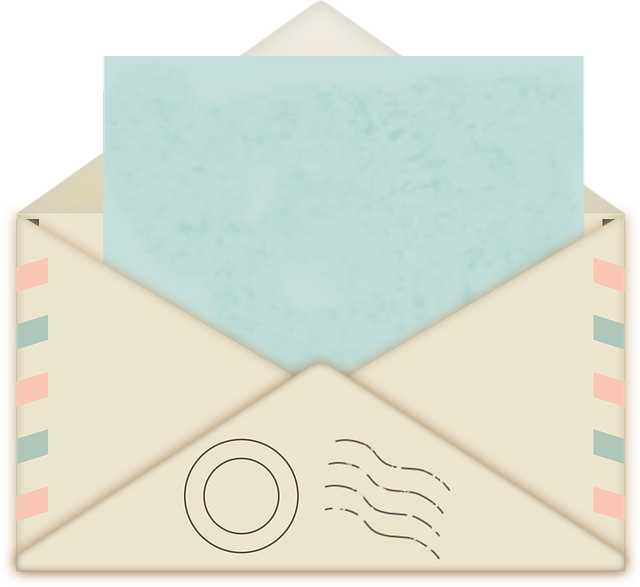 I’m not sure God has called me to write.” My friend Shelley had just received that thin envelope that every writer dreads. All four of her targeted publishing houses had passed on her historical romance. In my work as a freelance editor, I hear this question regularly: How do I know if I’m called to write? My fourteen-year-old niece, Brianne, lived with me this summer. During the school year, she had piano, guitar, and voice lessons from a record producer who is teaching her to write music. Brianne’s parents plan for her to rise to Nashville stardom before she graduates high school. During a summer family gathering, one of Brianne’s other aunties, Wanda, asked me whether I thought Brianne would make it big in Nashville. This summer, Brianne didn’t give her guitar a glance, and she didn’t play my piano or work on songwriting. She had no passion for her music. Where there is no passion, there is no calling. Conversely, passion can indicate God’s will. Some of us have been taught erroneously that God’s will resides outside our comfort zone. Some preachers leave us with the impression that the more uncomfortable we are in our Christian work, the more serious we are about our faith. But what about Jesus’ easy yoke, his light burden? What about working within the talents and interests God gave us? Are you good at what you do? Do your critique partners praise your sympathetic characters, your vivid settings, your heart-stopping love scenes? Do you love what you do? When you have a few minutes to yourself, do you reach for a book or pull out your current work-in-progress? What did you love as a child? Our main interest at age nine often develops into our greatest vocational aptitude. Were you a bookworm back then? Did you write stories in your wide-ruled notebooks? People are more important than music to Brianne. I believe her calling will involve helping others. But Shelley dove right into her next novel. She gets up an hour early so she can work on this book. Her passion for her work convinced me that writing is God’s will for her. Discover your passion, and you’ll find God’s will. Christina Miller operates Mentor's Pen Editorial Services. She can be contacted at christina@mentorspen.com Her passions include reading Christian fiction, especially historical, and helping new writers to hone their skills. She is a worshipper, musician, songwriter, and ordained minister. She and her husband, Jan, live in the house her grandfather built on his Southern Indiana farm, a place where they can pretend it is long ago. As Christians, we know that we’re supposed to be compassionate, loving, and kind. But it isn’t always easy, is it? We’re still human and prone to fall short of all we should be. The temptation to be less than kind can even arise in our associations with other Christian writers and their work. The critique group that Annette and I belong to has become very close. We not only share our work, we share our lives. But not too long ago we realized that the level of trust we’d built had opened the door to a place we didn’t really want to go. In critiquing our peers’ work we’d begun to make our points in manners that were sometimes more hurtful than helpful. Once we realized what was happening, we made some changes. Many of us also review books written in various Christian genres. We post the reviews on our blogs, Amazon, or other book seller sites. It’s impossible to love every novel you pick up. There may be some you can’t even force yourself to read behind the first few chapters. The story, the writing, or both just don’t grab you. And if you’re a writer who has studied the craft for some time, it might be tempting to criticize the skill of the author. Angela Hunt told a story during the ACFW (American Christian Fictions Writers) conference last year. She’d received an unpleasant email from a reader who said very unkind things about one of Angela’s books. In response, Angela wrote back, which enabled the reader to grasp the reality that the author was indeed a real live person with feelings of her own. Honesty is important. We as writers will never grow in skill if people aren’t truthful about what we could do better. However, there are ways to share an honest evaluation of someone’s work and still be kind. The next time you feel the temptation to write a scathing letter or review, I encourage you to check yourself. The next time you discuss another author’s work, keep guard on your words. It might be you on the receiving end some day. 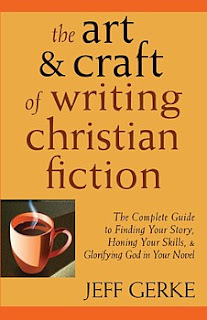 This Wednesday as we continue on our Writer’s Journey, I’d like to recommend the book The Art and Craft of Writing Christian Fiction by Jeff Gerke. Christy Award-winning editor Jeff Gerke entered the Christian fiction publishing industry as a novelist. Under the pen name Jefferson Scott, Jeff has had six of his Christian novels published. He's served on the editorial staff of Multnomah, Strang Communications, and NavPress. Novels that Jeff has edited or acquired have won multiple Book of the Year awards. He's also the founder and publisher of Marcher Lord Press. The Art and Craft of Writing Christian Fiction is divided into three parts. 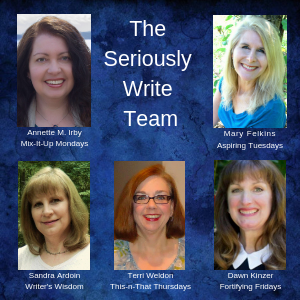 Part I is devoted to the “Spiritual Heart of Writing Christian Fiction.” This section of the book asks the reader to examine such things as: Who do you write for? Why do you desire to be published? What is your calling as a writer? Part II covers “Strategizing Yourself, Strategizing Your Novel.” As writers we need to find our story and create interesting, likeable characters. The tips shared can help us do just that. Part III, “Writing Your Novel,” explains the tools needed to write great fiction. Topics include show vs. tell, dialogue, point of view, and description. There are tons of books available on writing techniques, characterization, plotting, etc. Some are excellent, while others can tend to feel bogged down, or even overwhelming. Jeff allows his personality to come through, which makes the book not only helpful to fiction writers desiring to grow in the craft—but FUN to read. I felt like I was sitting down with a cup of coffee and having a conversation with him. I’ve read many books on writing, and this has become one of my favorites. Although Jeff has retired the tips column on his Web site with the publication of this book, you can still access his 100 tips for writers, by visiting this Web page. To learn more about Jeff and Marcher Lord Press, please visit Where the Map Ends. When my novella “Love Letters” came out, I was surprised by the feedback. The story centers on a married couple who have poor communication in their marriage. The wife feels unloved. The husband hides his emotions. They’re missing each other until God intervenes. One of my friends from church read the story and got back to me with this feedback—“I could so relate with your characters in my own marriage.” Since this dear woman is from Fiji, I didn’t know if my story would connect with her in a culturally specific way. But, it did. Human situations are common—and miscommunication in marriage isn’t unusual no matter what culture you’re from. Honestly, as I wrote the story, I wasn’t considering the reader the entire time. Too caught up in the story itself and the work of creating, I didn’t think ahead to the readers one day. Had I thought about them, I hope I would have stopped writing for a moment and prayed for them. ~ Prayed God would meet them in the story, helping them find hope in their own situation. ~ Prayed they’d be inspired by some of the ideas. Though it’s fiction, story changes lives. ~ Prayed they’d feel His presence in the journey the characters take. ~ Prayed they’d see they are not alone. Even if they’re from a different culture than me. So often I pray for the right words in a given story, or for a breakthrough during writer’s block. Why do you think God answers those requests (often) with a rush of words? Because He wants us to experience His pleasure in our writing*, but also because He knows it’s all about the reader. Once again we welcome Katie Ganshert to Manuscript Monday here on Seriously Write. She's here with Part II of her series on Goal, Motivation and Conflict. Now that we’ve established the need for an urgent, important, and timely goal, let's look at the M in GMC: Motivation. Motivation answers the question: Why does your character want what he wants? Here’s the thing about fiction: there are no limits. If you want your character’s goal to be cloning his dead uncle Bob, you can do it. If you want your character’s goal to be capturing a colony of hostile mermaids living at the bottom of the ocean, you can do that too. You can make these goals believable as long as you establish a strong, plausible motivation behind them. C’mon, that’s an absurd goal. Who cares about winning a pie eating contest? Give your character a compelling motive behind the silly goal, and your reader might just start to. Let’s say our character is a bean pole who can’t eat more than a sugar snap pea without getting full. His father is a burly man who thinks real men have big appetites. Our character has always been a disappointment to his dad—the skinny black sheep of his otherwise husky family. Taking first place in that pie eating contest suddenly becomes much more than winning a blue ribbon. It means proving to his father, and to himself, that he’s just as much of a man as the next big guy. The story is silly, no doubt, but at least it’s believable. Writing good fiction means suspending disbelief. And nothing screams unbelievable more than a goal with a poorly constructed motivation. Without a strong motivation, the story falls apart. And when the story falls apart, you’ve lost your reader. Motivation is key. Every character needs a goal. Every goal needs a motivation. It's Fortifying Friday and today we welcome guest author, Sharlen MacLaren. Sit back . . . enjoy . . . and soak in her words of encouragment. Dinged Up, But Not Done In! I like to think of myself as a collectable teacup, once a perfect, brand new design, but now chipped and a bit dinged up in places, but still quite functional – and really, not that bad looking – from afar, that is. Get too close and you’re bound to see a number of spots and imperfections that even a boatload of the most expensive makeup won’t cover! I am God’s creation and no matter my age or stage, He still has plans for me. I may be full of flaws, but God sees straight through them to the willing vessel that I am and somehow sees fit to use me. And the same rings true for all of you, my precious readers. At 52, I was beginning to think of myself as a rather worthless teacup. Unsettling things had come along to interrupt my easy-flowing life, putting chips and cracks in my once appealing, practical, nifty, nearly flawless teacup. Children leaving the nest, my lifelong career as a teacher ending, my beloved mother’s Alzheimer’s diagnosis, the loss of an adored family pet, unwarranted, and irrational fears leading to an emotional and physical breakdown all played major roles in damaging my teacup—almost to the point of rendering it useless. Your imperfections don’t matter to Him; he can mold you into the person He wants you to be. Your inabilities are insignificant to Him; He can equip you with all that you need to fulfill His mission. Your lack of confidence is inconsequential; He will supply you with His confidence and His knowledge. Stay the course, my precious friends. If you feel like a cracked, chipped, worthless teacup, you’re in a good place. Truly! Remember, God is in the repairing business and is always up for a challenge! After 31 years of teaching second and fourth grades, Shar decided to say, "Bye-bye, Students!" and "Hello, Writing World!" and it's been an interesting, exciting, challenging, and inspiring adventure. One thing she knows for certain—God dropped a seed of passion for writing in her heart back in the summer of 2000, and He's been growing it ever since. She signed on with Whitaker House in early 2006 and in January of ‘07 released Through Every Storm, a general fiction title that finaled in the American Christian Fiction Writers Book-of-the-Year. On the wings of that came her beloved, bestselling Little Hickman Creek Series and more recently The Daughters of Jacob Kane, another 3-book, historical set. Shar won the “Road to Romance” Reviewers’ Choice Award and earned a third place standing in the Inspirational Readers’ Choice Contest in 2008 and 2009. Shar has done numerous countrywide book-signings, television and radio appearances, and countless interviews. She has been married to the love of her life for almost 34 years, has two wonderful daughters and two handsome sons-in-law. The joys of her life, however, are her adorable grandchildren. Besides her involvement in music at Spring Lake Wesleyan Church, Shar has been a speaker for the local MOPS organization, is involved in KIDS’ HOPE, USA, a mentoring program for at-risk children, counsels young women in the international APPLES OF GOLD program, and attends two bi-weekly Bible studies. She and her darling husband, Cecil, live in Spring Lake, Michigan with Dakota, their loveable collie, and Mocha, their lazy fat cat. Annette and I are getting ready to fly to Denver next week for the ACFW (American Christian Fiction Writers) conference. This will be my fifth conference with this wonderful organization. The first year I attended, the only person I knew was a critique partner made via email. Since then, it’s felt more and more like home week. Every year there are more friends to connect with, and more people I’m looking forward to meeting face to face. Attending a conference can be a daunting experience, especially if you don’t know anyone. Not all—but many—writers tend to be a bit on the introverted side. So it’s not easy for us to walk up to someone and introduce ourselves. Some years I’ve pitched a novel—other years I haven’t. It can be scary sitting across the table from an editor or agent, not knowing if they’ll love your idea or politely decline. God has provided the strength needed for me to talk about my stories with heavy hitters in the industry. And He’s given me peace when things didn’t turn out the way I hoped. The realization has come that it’s not just about getting my work noticed and getting published. Sometimes it’s more about the journey. Over the years I’ve met incredible people and made life-long friends. I’m working at something that I have a true passion for, regardless of the level of success I achieve. I have peace that I’m doing what I’m called to do. How many people can really say they have that in their lives? God desires to provide the strength needed to approach people at a conference and become vulnerable. He’s willing to give us the strength needed to email a proposal—or snail mail a manuscript to an editor—and risk disappointment. And He’s there to provide peace, assuring us that His timing and His will for our writing will come to pass. May His face shine upon you and give you peace . . . This Wednesday as we continue our Writer’s Journey, we’re privileged to have author Deborah Vogts share what she’s learned along the journey to publication. Her debut novel, Snow Melts in Spring, released in June, 2009. Welcome Deborah! 2. Join writer’s groups and critique groups to hone your knowledge of the craft. 3. Networking with writers, agents, and editors is important. Plan to attend at least one conference a year. 4. Not only do you need a good handle on basic grammar and style, but your ideas and plotlines must be fresh and interesting to break into today’s market. 5. Learning never stops – always study the craft. 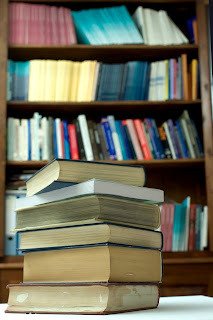 Read books and magazines, take an online writing course or one from a local college, and attend writer’s workshops. 6. You can’t give up. The only writer who succeeds is the writer who doesn’t give up. 7. Ninety percent of the battle is completing the book. 8. Your work doesn’t end once the book is written. Marketing is a huge word in today’s publishing world. 9. Not everyone needs and agent, but having one may help you get published. 10. Let God be your guide. Request his help and guidance as you write, each and every day. Please visit her Web site to find more writing tips and information about Deborah and her books. Deborah Vogt grew up on a farm in SE Kansas with pigs, cattle, horses and sheep, as well as space to run free. The books she writes are set in the country and are written for those who live in the country, have moved from the country and still hold it in their hearts, or those who have never lived there but long for the simple life it offers. Her Seasons of the Tallgrass Series captures the spirit and dreams of ordinary people living in the Flint Hills of Kansas-one of the last tallgrass prairie regions in the world. Deborah and her husband have three daughters and raise and train American Quarter Horses. Ten years of studying writing craft, penning novels, attending workshops, networking with editors and agents, and submitting proposals wasn’t panning out for Brynne. No publishing house wanted her work. She didn’t get bitter, though. She applied herself all the more fervently to “how-to” manuals, availing herself to general writing craft books as well as those specific to her genre. She didn’t slack on praying, either, though she wondered why the Lord seemed to have a very different time line than she did. As years passed, desperation grew. She would carefully analyze any feedback she received from editors (though specific advice was rare). She entered contests and opted for paid critiques. She faithfully attended her local critique group and tried to take their advice to heart. But, she kept dreaming. She thought about the glory of that first contract. She thought about joining the ranks of newly published writers and of one day being a well-published, sought after author. She thought of all the kudos coming her way and of making a name for herself, all while praying God would bless this calling He’d given her. She wondered why He wasn’t opening doors. Desperation forced her to pray more fervently. Daily, she prayed over her current projects—her WIPs—and believed since God had given her the stories, He’d bring them to publication. She considered the advice of other writers—wait on God. His timing is best. He knows what He’s doing. Or, from another perspective, maybe you’re just writing for your own sake, or for those who will read the work in manuscript form—parents, cousins, children, whoever. Maybe those WIPs won’t be published. Will you serve Me in the small, less noticed things? God asked. “Okay . . .” Then, she rejoiced to see one of her parenting articles published. It’s a start, she thought, but it’s only an article. Will you despise the day of small beginnings? Will you trust Me with your calling? With the timing and My plans? Will you write solely for My glory, not yours? For My name, not yours? While you wait to be published (or published again), God is working on your character. While you create characters’ GMCs, God is working on your motivations, through conflict as you strive toward your goals. The best way to minister to our readers is to be sure our writing lives, our calling to write, is submitting wholly to the Lord. That our goal is His glory, not our own. This way we facilitate connecting our readers with God, which is good, because it’s all about the reader. This Manuscript Monday, please welcome Katie Ganshert to share on Goal, Motivation, Conflict. This piece begins her four-part series which will take us through Mondays in September. Debra Dixon wrote a book called Goal, Motivation, and Conflict, by far one of my most favorite craft books to date. According to Debra, every story can be pared down into three basic elements: goal, motivation, and conflict. Get them right, your story will flourish. Get them wrong, and your story might take a nose dive. Urgency. To give your story that ever elusive hook, you want to create a goal that is urgent, not something your character could accomplish just as well ten years from now. Create a sense of urgency within your character, and you will entice your readers to keep flipping pages. Consequences: Your goal should come attached with a “So What?” addendum. If your character doesn’t accomplish this particular goal, so what? Are the consequences big enough to make your readers care? Make your readers care, and they will stick around. Timing: Once you’ve established the G, make it evident right off the bat. Don’t leave your reader guessing what your character wants to accomplish until half way through your novel. Clue your reader in, and do it in a timely manner. A note of caution: Show the goal, don’t tell it. What happens when your character doesn’t have a clearly defined goal? The story becomes episodic and lacks a sense of direction. Episodic books are incredibly hard to sell and even harder to read. So get off to a good start. Give you character an important goal. We had a great response Monday with our Featured Genre Day, so we're doing it again. 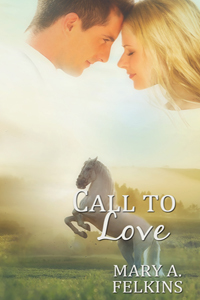 Today's author is well recognized in her chosen genre--Christian romance. Whether you write inspirational romance or not, we're hoping you're encouraged by today's Featured Genre Day post featuring Gail Gaymer Martin. When asked why I write romance, I answer it was the Lord’s doing. Romance was not a genre I read. I enjoyed romantic suspense with authors such as Phyllis Whitney and Mary Stewart, but romance is the genre that I’ve written since my first novel was published in 1998. How did that happen? When I attended my first writers’ conference in 1997, I met Gayle Roper who told me about an AOL writers' board. I visited the site and learned some helpful information about writing and the world of publishing, but the most significant thing that happened was an announcement from an author asking if people writing Christian romance might like to form a loop. I didn’t even know what that meant, but I contacted her. 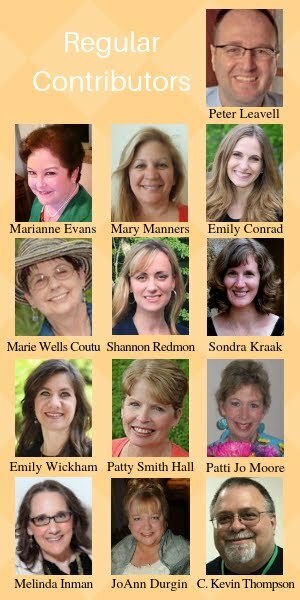 Little did I realize from author Annie Jones’ invitation I was joining a group with some of the top writers in Christian fiction—Francine Rivers, Liz Curtis Higgs, Karen Ball, Lisa Tawn Bergern, Linda Windsor, and so many others. This group of writers became mentors for me. I asked dumb questions, and they graciously gave me answers. I believe that the Lord guided my walk to this genre, and though I prefer women’s fiction and romantic suspense, I found my start in pure romance. I chose to write Christian fiction because my faith is woven through every fiber of my being. I live with a Christian worldview that affects how I look at life and what I value. When I am struggling with problems, I turn to the Lord. When good things happen, I praise Him. I chose not to write explicit sexual content or use curses or God’s name in vain in my fiction. I want my stories to reflect who I am—a Christian—and this has connected with readers and has opened doors to a speaking ministry for women’s groups where I speak on human struggles that touch us all. Why I believe the romance genre was God’s doing is that Christian fiction has a huge following and is the perfect genre for me. As a licensed counselor, I am able to use my expertise to present emotion-filled stories that allow me to entertain as well as to touch lives with stories that deal with life issues and struggles and with God’s truths. These stories provide readers with hope and leave them with God’s promises of love, forgiveness, grace and salvation through Jesus. No matter what genre I write—women’s fiction or suspense—romance will always be woven into the novel because I see it as the glue that makes a story adhere to readers. Everyone enjoys a fast paced story to which they can relate because it presents real life situations, but most of all everyone loves to be loved, and that’s what romance is about. Hey readers, Annette here. I've appreciated Gail's heart to mentor other writers and have personally emailed questions to her, which she has graciously answered time and again. Check out her Web site for writers (see below) and her book from Writer's Digest (also mentioned below). How is Brent Runyan supposed to reach his troubled nephew? The workaholic businessman knows nothing about providing a real home to the orphaned boy who needs him so much. Special education teacher Molly Manning thinks the answer is threefold: love, time—and a dog. But Brent can barely let his nephew into his heart, let alone a golden retriever. With his tragic past, Brent knows what can happen when you love anything: you can lose it. Until Molly asks this dad-in-training to start with the basics by letting her stay…forever. 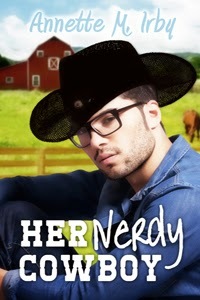 Gail also has a post up at Love Inspired Author's blog. Check it out here. 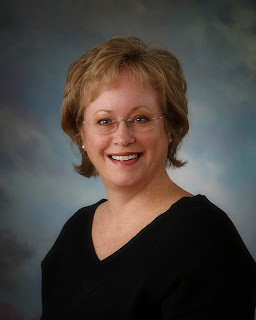 Multi-award-winning author, Gail Gaymer Martin writes fiction for Steeple Hill and Barbour Publishing, where she was recently honored by Heartsong readers as their 2008 Favorite Author. Gail has written forty-two contracted novels with three million books in print. She is the author of Writing the Christian Romance, a Writers Digest Books release. Gail is a co-founder of American Christian Fiction Writers (ACFW). She is a keynote speaker at churches, libraries and civic organizations and also presents workshops at conferences across the US and abroad. Gail has a Masters degree and post-master’s classes from Wayne State University in Detroit, Michigan and is a licensed counselor. She lives in Michigan with her husband. Visit her Web site and her Writing Fiction Right blog.